Link Global are perfectly placed to handle your France contractor accounting. Structure your work arrangements with confidence using our internationally renowned accounting solutions. From early planning advice to emergency payroll for imminent work, and every step in between, Link Global provides expert contractor accounting solutions for France and worldwide. Link Global Management are perfectly placed to handle your France contractor accounting. Structure your work arrangements with confidence using our internationally renowned accounting solutions. From early planning advice to emergency payroll for imminent work, and every step in between, Link Global Management provides expert contractor accounting solutions for France and worldwide. If you’re from the EU/EEA or Switzerland, you’re free to work in France without a work permit. Most other people will need permission before a visa/residence permit can be granted. This is a procedure organised by a prospective employer. If you’re going to work in France for less than 90 days, you need your employer to get you a temporary work permit approved by the French Ministry of Labour. This authorisation is then sent to the French embassy/consulate in your home country where you can apply for your visa. 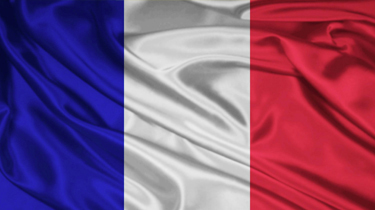 Non-EU nationals sent to France on an intra-company transfer by a company located outside of France may be granted work authorization for a period of three years if they meet the following conditions: their length of service with the foreign employer is at least three months; a minimum gross monthly salary of approximately €200. The temporary residence permit issued to these individuals is marked "salarie en mission" and is valid for three years. However, the authorities can review the situation of the assignee according to the length of the assignment. For salarie permanent status only, the permit is renewable for a totaI period of six years. The EU Blue Card is also available for highly skilled/educated workers. Link Global Management deducts tax and social security at source on a PAYE basis, and payments are made to the relevant authorities. You can reduce this taxable amount by offsetting some business expenses. French social contributions or cotisations (are higher than UK National Insurance contributions (NICs). Foreigners who are living and working in France must typically register and pay into French social security in exchange for certain government benefits, including healthcare. The French social security system, which the French familiarly call la Sécu, is divided into different categories, called régimes. The general scheme (régime générale) covers more than 80% of people in France and is the one used for employees. Certain bilateral agreements also make it possible to transfer or combine social security benefits, particularly if you’re a European Union citizen or were an official resident in another EU state.